If walls could talk, what story would this place tell? Slowly weathered by each changing season, once busy with miners coming to and then leaving their shifts. 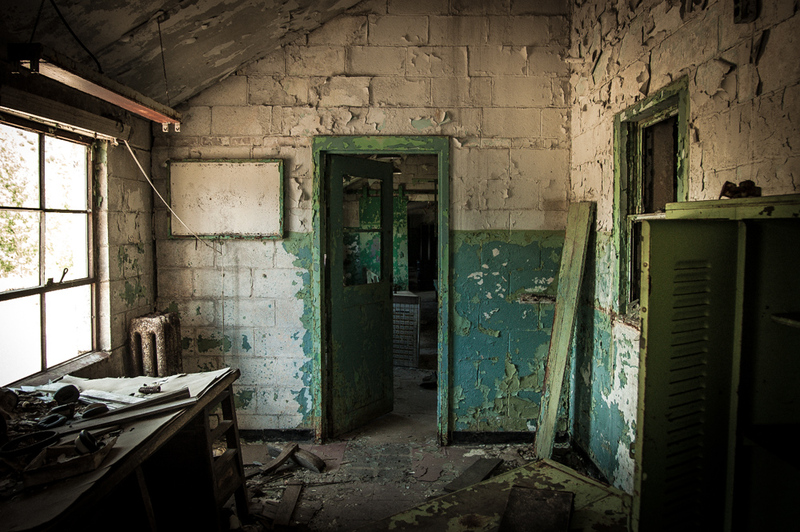 But now empty – and with each day’s light that passes through its broken windows, that day is etched into the wall’s peeling paint and crumbling frame. Lovely perspective composition, and nicely illuminated with window light. I do love a nice bit of dilapidation! The shot is beautiful but kind of sad. You really found a treasure-field there, Will. If walls could talk…indeed! C’est vrai que cet endroit doit avoir une histoire, superbe shot. Bonne journée.